If the weather cooperates, Texas state park visitors will get a show on Aug. 11 during Perseid Meteor shower and stargazing events. HOOVER’S VALLEY — Visitors to area state parks will gaze at the sky Saturday evening, but they might get more than the promised show. 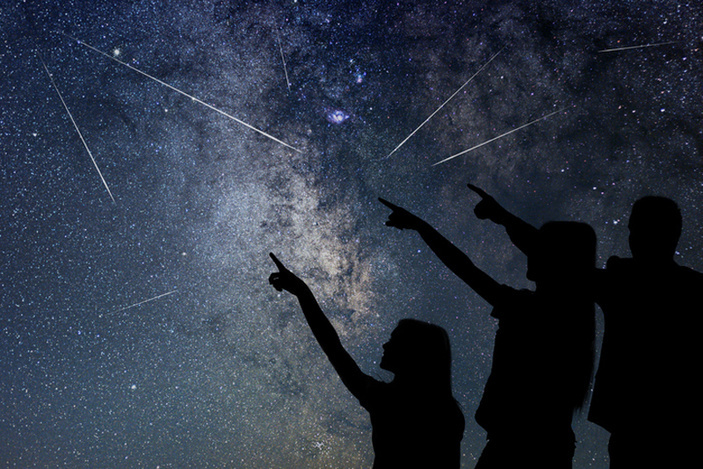 Stargazing and Perseid Meteor shower viewing events are in jeopardy because of increasing chances of thunderstorms and cloud cover. Depending on the weather, events are planned at Inks Lake State Park and Pedernales Falls State Park. As of Thursday, rain chances were 40-60 percent for the three parks with mostly cloudy conditions in store for the entire area. In case of rain, park officials will cancel their events. However, Inks Lake State Park’s Perseid Meteor shower viewing will go on under cloudy conditions. The viewing is 10-11:30 p.m. at the Central Park area near the playground at Inks Lake State Park, 3630 Park Road 4 in Hoover’s Valley. Bring a chair or blanket to sit on. Event information is available on the park’s calendar of events, and updates will be posted to the park’s Facebook page. At Pedernales Falls State Park, a star party hosted by the Austin Astronomical Society will continue with partly cloudy conditions. Rain or completely cloudy conditions might cancel the event. The star party is 7-11:30 p.m. at the park, 2585 Park Road 6026 in Johnson City. Rain the day before or the day of could force the event to move to another location in the park, which might require a long hike. More details are on the park’s calendar of events, and updates will be posted on its Facebook page. UPDATE AS OF FRIDAY, AUG. 10: Enchanted Rock State Natural Area has canceled its Perseid Meteor shower viewing event Saturday. If the weather is favorable and the viewings are held, officials at all parks recommend bringing exact change for entry. Because of the late times, visitors must use self-pay stations when entering the parks. Park-specific information is available on each park’s website.